Kat Henry Doran wrote me a letter about her favorite secondary characters. Here's Kat to tell you her thoughts. 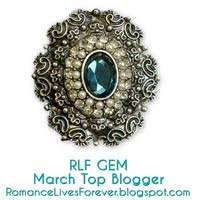 Thanks so much for having me pay a return visit to your enchanting blog. I was just there a few weeks ago, promoting my reunion trilogy, Vengeance Is Mine. Since much of VIM involves the lead characters exacting revenge on the bullies who tormented them back in the day, I decided to talk in general about secondary characters and their worth to a story. Instead of boring your readers with the same characters from Vengeance, I decided to go to some of my favorite books, movies and TV shows. In particular, I thought about those which I often go back and revisit whenever I need a day to veg out or recuperate from a grinding physical event. It came to me that secondary characters add color without claiming the whole palate. They follow because they chose not to lead. They often add comic relief. In my world, if a man [or woman] doesn't make me laugh, I don't want to spend a lot of time with them. They support the lead character without assuming control. They are memorable without the need to win the prize for Best Actor. Walt Longmire be without Henry Standing Bear. Thanks for having me, Jana. This has been fun because you made me think. That's always a challenge! Frustrated with the holdup, Fee glanced around for points of entry, hoping she'd be able to spot Dru the second she entered the ballroom. One nano-second later all thoughts of revenge left Fee's mind like steam escaping a kettle. The weathered appearance of his face announced he'd lived ten times over. Thick gold hair flecked with gray grazed the collar of his suit jacket. Broad through the shoulders and chest, narrow at the waist and hips, he had the long legged grace of a broken field runner. Moving across the parquet floor as if born to a runway, he carried himself with an innate confidence. 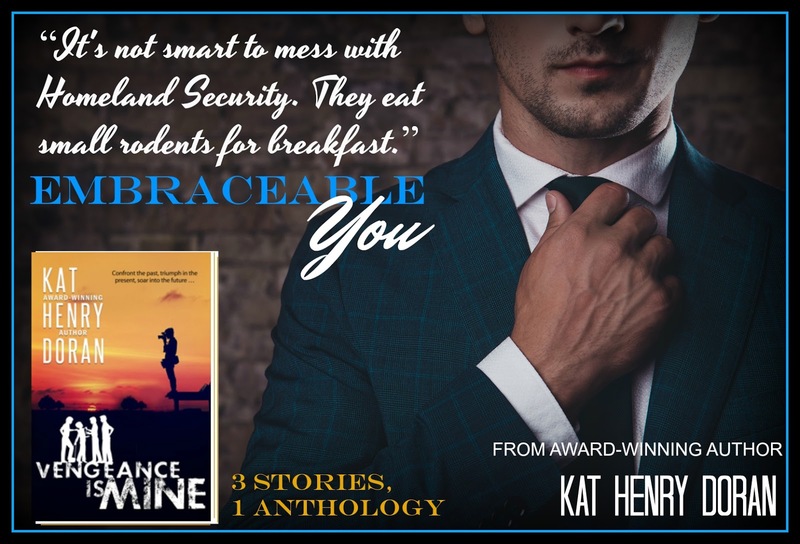 Without disrupting that fluid stride, he undid his tie before shrugging out of the suit jacket which he slung over one shoulder with the tip of his index finger. She'd almost given up finding a man so perfect. This one had The Look. Kat Henry Doran lives in western New York State with her husband, three children, four grandchildren and assorted cats, dogs, rabbits and fish. 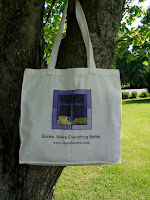 A retired nurse and occasional advocate for the disadvantaged, she now devotes her free time--what there is of it--to designing and creating tote bags and aprons, writing the stories she loves to read and spending as much time as possible with the four brightest lights in her life: Meredith and Owen, Kieran and Ashlin. 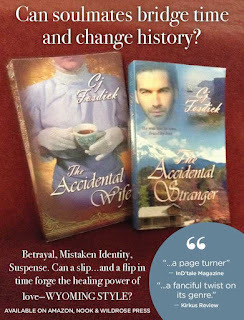 Fellow Wild Rose Press author Cj Fosdick is with me once again to talk about her Accidental series; The Accidental Wife and The Accidental Stranger. Today I'm featuring a blurb and excerpt from book 2 in the series,The Accidental Stranger. Both books in the series are on sale for .99 cents until July 1. Please welcome Cj Fosdick! Thirty years ago I attended my first Writer’s Conference in Rochester, MN. It was a weekend mecca for hopeful writers flocking together to learn from two famous Minnesota authors. Frederick Manfred and Jon Hassler are both deceased now but their writing was alive in 1986, and they actually read and evaluated the excerpts that were turned in. Mine was one of them. I had already won a short story contest and been published in a few magazines and anthologies, but I was a novel novice. I was also a novice coffee drinker, nervous enough to slosh the WC agenda. Subsequently, that first novel was rejected, and its thin-skinned author iced it for decades in a garage freezer. Life, meanwhile, continued with occasional freelance work sandwiched in time slots between four children and thirty animals, including 20 horses. Horse shows, training and rescuing animals clipped my writing agenda. I tested the climate by joining three National Writing Groups and attended numerous Writer Conferences all over the U.S. and one in London after a bucket-list tour. But it was at a Kansas City Conference with Women Writing the West that I won a Laura award for a short story. The judge suggested it begged to become a novel. 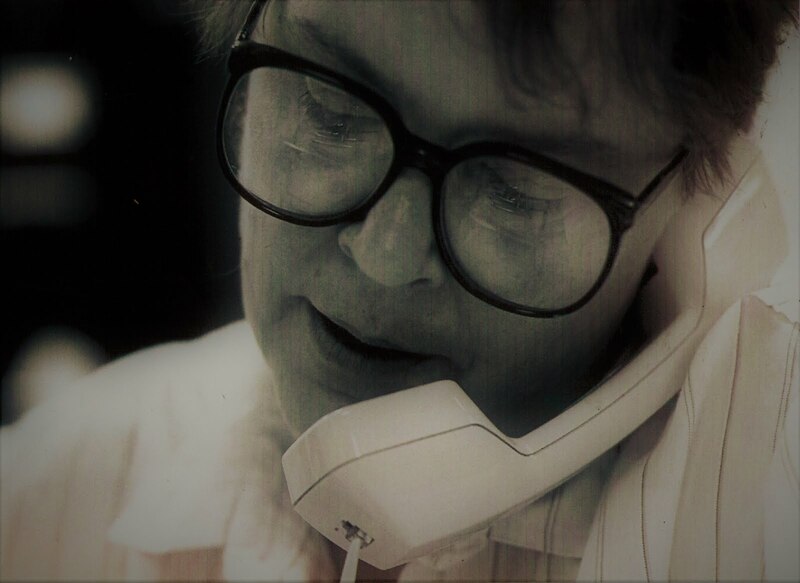 I managed to dine beside the publisher of an acclaimed small press that evening.“Send me the finished novel,” Rhonda Penders suggested. Motivated fingers pounded laptop keys, and a year later my first published novel was released by The Wild Rose Press. I’m still flying high. 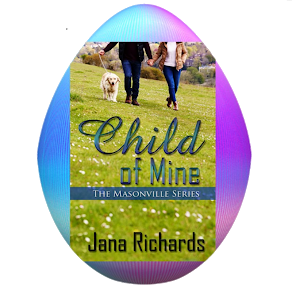 With an empty nest…and barn, I’ve had two other stories published, one in a British anthology and an audible in the candy heart series of WRP. I’m also working on my third novel in the Accidental Series, and write humor for a local Woman’s magazine. The freezer novel Jon Hassler deemed “publishable” is still in the hanger, but my debut novel, along with its sequel is flying high. Both were named Golden Quill finalists and “Stranger” is also a RONE finalist. Both are also on sale in June for the first time at .99. Chuck fumbled for a pulse and we all started when the man groaned and his eyes fluttered open. Green! His eyes were green. The fear in them registered with me as he searched our faces. When his eyes met mine, his jaw twitched. A flash of memories washed over me and my heart began to thump wildly. I set Scout down when my knees began to buckle and I thought I was going to be sick. My legs crumpled beneath me as I sagged in the snow and my bare fingers reached out to staunch the warm dripping blood. So red against the white snow. His eyes, so…green. 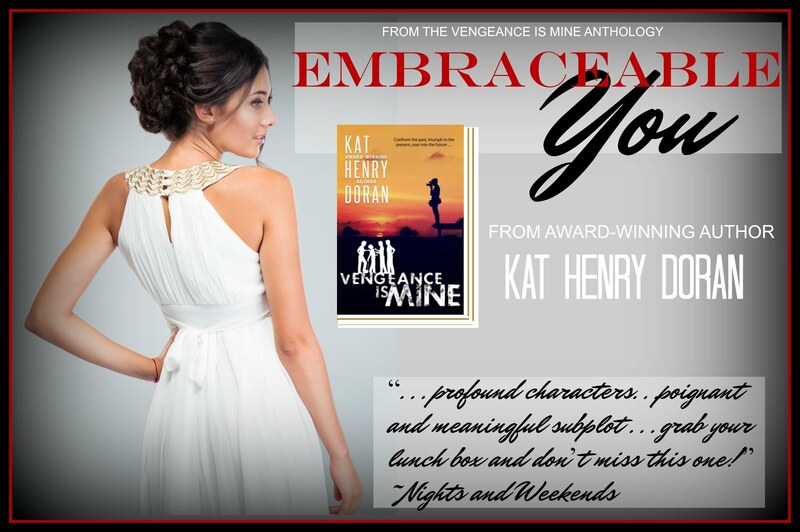 Every shade in a spectrum of emotion raced through my memory; joy, frustration, anger…love. I knew only one man who owned those eyes. He had come back to me. I shot the only man I ever loved. Click HERE to sign up for my newsletter to receive book news, mentioned recipes, and freebies. JUNE SALE: Both Golden Quill eBooks selling for .99 this month only. 1. Favorite author: Diana Gabaldon. (Meeting my inspiration at 2 Writer Conferences was magical). 2. Favorite Movie: Never saw a historical I didn’t like—in theater or on TV! Last of the Mohicans, Dances With Wolves, Pride and Prejudice, Gone With the Wind, and TV series like The Thorn Birds, Outlander, Poldark top my list. There is always a memorable take-away from beautifully filmed, character-driven epics with great scenery, actors and scores. Themes and series always pull me in. 3. Favorite Music: Movie scores, anything by Enya or light classical. Music without lyrics always tunes up the muse when I’m in a writing zone or need to chill. 4. City or Country: City girl found her writing sanctuary on 12 country acres, surrounded by woods and wildlife! The move also enabled her other big dream--30 wonderful years of horses--in and out of the saddle, showing and teaching every summer. 5. Favorite Aspect of Writing: For me, it is the armchair time travel. When I am in a “zone” I AM the redheaded heroine. My “boots on the ground” research has also doubled as a bucket list vacation. I also LOVE presenting my “Novel Journey” power point to book clubs, etc. at my home. We usually have tea and one of the sweet recipes my heroine makes-or craves-in the books. Cj Fosdick joins me today to talk about THE ACCIDENTAL WIFE, book 1 in her Accidental Series from The Wild Rose Press. Both books in the series are on sale for .99 cents until July 1. Cj tells us about her research as well as five things she thinks we need to know about her books. Take it away Cj! Vacations for writers are always rewarding when combined with research. The family vacation in 1977 that ignited my love of the historic west was mapped on poster board that had us following a route from Rochester, Minnesota through several states. Forts and battle sites were dots on our trail, along with wagon ruts, Register Cliff and Chimney Rock, but Ft. Laramie was the starring interest. I didn’t know it then, but the celebrated fort would invade several of my books. 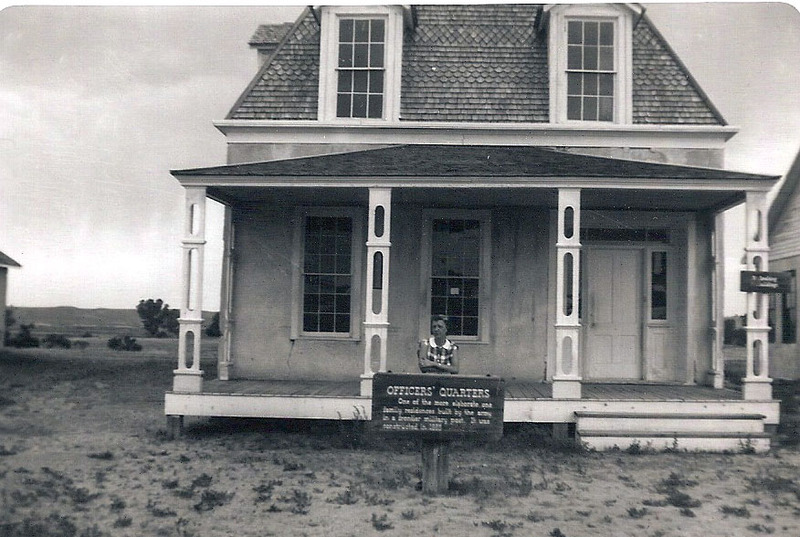 Original buildings including the cavalry barracks, Old Bedlam, and the Burt house would become specific sets in my historical fiction and time travel suspense. Historic locations always make me feel I am walking lockstep with ghostly figures who lived centuries ago. 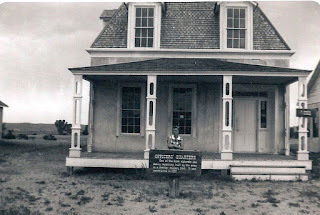 The “coincidences” associated with Old Ft. Laramie weren’t lost on me. After my stepmom died two years ago, I found old photos of her and my late father taken at Ft. Laramie on their 1954 honeymoon. I recognized one of them was taken in front of the old Burt House where the heroine of my novel series slips back in time at a re-created tea party. My stepmom loved The Accidental Wife, but never mentioned that she had actually been to Ft. Laramie as a new bride. Yet another coincidence…or ghostly sanction to finally give birth to a story that had to be told? In the moonlight, he rose from the Adirondack like an old man and moved toward me, his green eyes fanning me from head to bare feet. He touched my face with both hands, feathering his fingers across my forehead, into the wells of my eyes, over my nose and cheekbones, like a blind man needing to know who stood before him. I tried not to stiffen at his touch, willing myself not to blink, not to release the fresh tears that had begun to pool. He collared my throat with his long fingers and ran a thumb over my lips. “I want my wife back. Come back to me, Mitawin,” he whispered. The word on the teacup; the hallmark of my deceit. Our eyes locked, and I felt my throat closing and my knees begin to quiver. For a few seconds his grip tightened around my throat, and I clamped my eyes shut with a fleeting thought. Yes, take my breath...end this tormenting deception. When he suddenly released me, I could see the pain twisting his face. He turned away and rubbed his chin against his shoulder, bracing both arms on a porch railing. We both started by the sudden hoot of a nearby owl, and like the volume turned up on ear phones, I was suddenly aware of other night sounds, crickets, wind rustling through the sage, my heart bumping in my chest. 1. The Accidental Wife and its sequel, The Accidental Stranger are both priced at .99 only till July 1. TAW was a top ten winner in a P & E readers poll for both Best Romance and Best Author in 2015 and a finalist for a Golden Quill for Best First Novel. 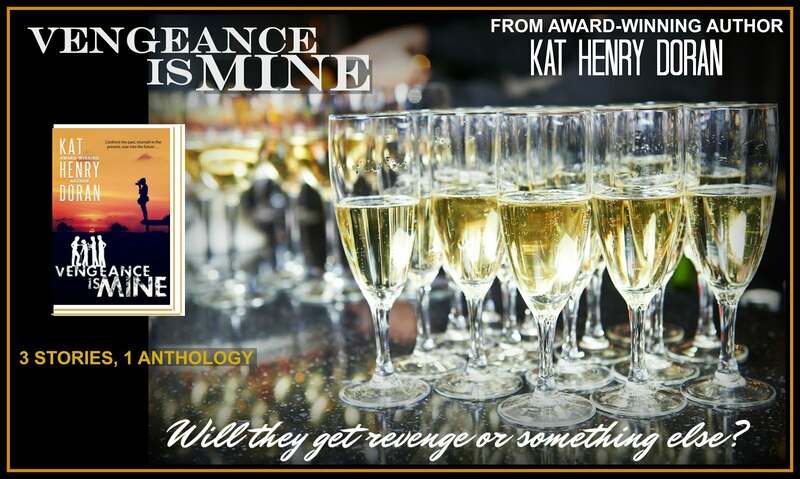 TAS was also named a finalist for a Golden Quill in the Suspense category and a finalist after being nominated for the 2018 Rone Award in the Time Travel category. 2. The Accidental Wife started as a short story titled The Teacup which won a “Laura Award” from Women Writing the West in 2013. The judge declared it was a story begging to become a novel. Further incentive came from the publisher—who was in the audience. The rest is history-- truly made at the Kansas City Writing Conference ! 3. The “Accidental Series” is aptly named for main characters who accidentally become a wife, stranger, heiress, soldier, etc. by either time travel, heredity, or a mysterious error. 4. The books are multi-genre: Romantic Suspense, and by virtue of time travel and setting, also part historical-contemporary-fantasy-western. Western Ireland shares the setting with Wyoming in Book two. Kirkus Reviews called The Accidental Stranger “a twist on the genre” as the hero bridges time to find the heroine in her era. In TAW, she slipped time to find him. 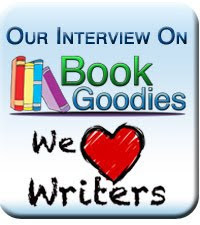 Romantic suspense author Dana Marton is my guest today. 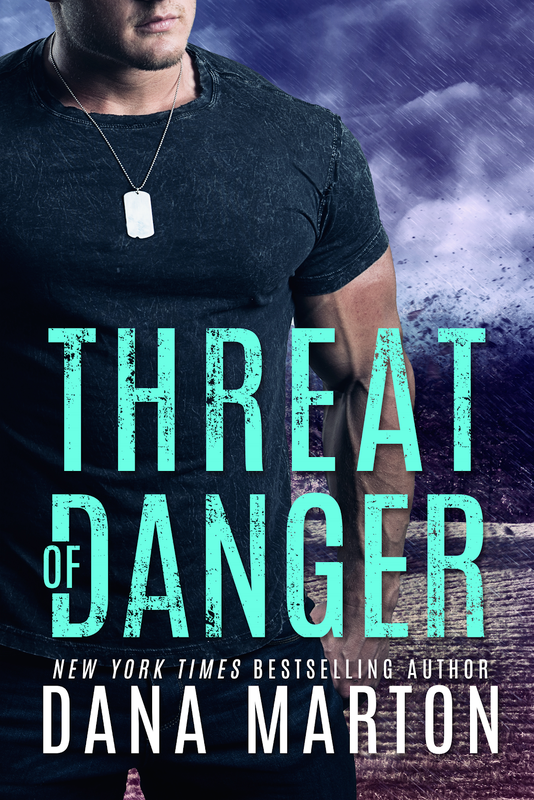 She's here with an excerpt from the newest book in her Mission Recovery series, THREAT OF DANGER. To celebrate her new release, she's offering a gift card and tote bag as prizes. Make sure you enter the Rafflecopter below! Dana is giving away a $25 Amazon or B and N GC and a Dana Marton Tote Bag. The winners will be chosen by Rafflecopter. Please use the RaffleCopter below to enter. Don't forget you have a chance to enter every day so be sure to visit all the stops on this tour. You may find those locations here. “He had to go. He had meetings scheduled with directors. And new equipment coming in that he has to test and make decisions on before the next shoot.” When she talked about Eliot, she talked about the business. That gave Derek hope. Sounded like they’d parted as friends and colleagues, not as lovers who couldn’t wait to reunite. 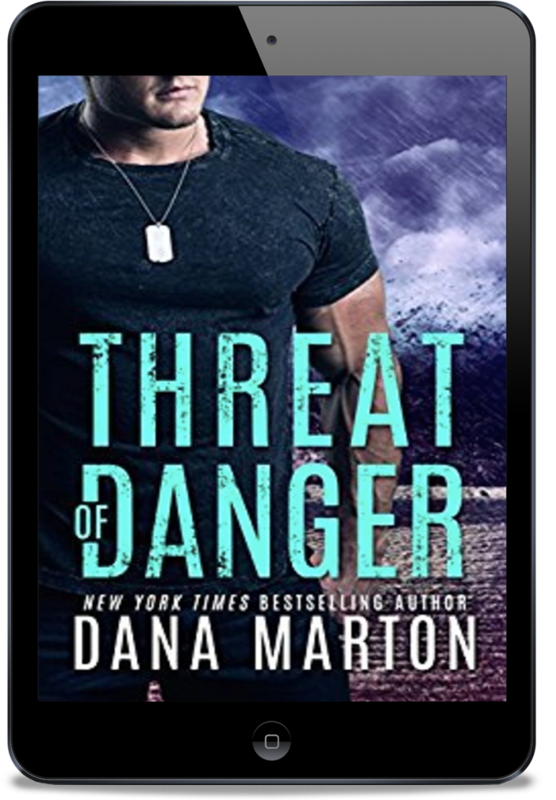 If you love heart-pounding romantic suspense, books you can sink your teeth into, you'll love New York Times bestselling author Dana Marton's stories. Kirkus Reviews calls her writing “compelling and honest.” RT Book Review Magazine says, “Marton knows what makes a hero…her characters are sure to become reader favorites.” Her writing has been acclaimed by critics, called, “gripping,” “intense and chilling,” “full of action,” “a thrilling adventure,” and wholeheartedly recommended to readers. 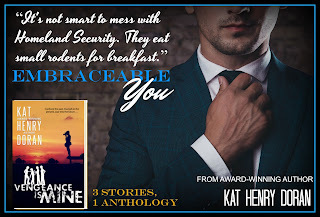 Dana is the winner of the Daphne du Maurier Award of Excellence, the Readers’ Choice Award, and the RITA Award, the highest industry award for romance. Beyond being a bestselling author of romantic thrillers, Dana also writes a popular fantasy romance series: Hardstorm Saga. Book 1, RELUCTANT CONCUBINE, spent 6 weeks at #1 on Amazon's fantasy romance list. 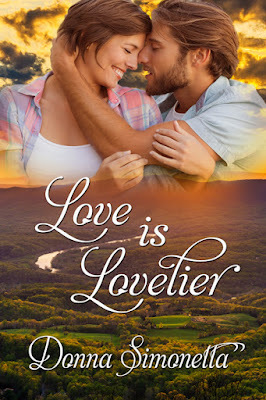 Donna Simonetta is back with me today to tell us about her .99cent sale on her contemporary romance LOVE IS LOVELIER. The sale will run from June 9-22, 2018. Welcome back, Donna! I'm participating in Kat Henry Doran's blog tour today. 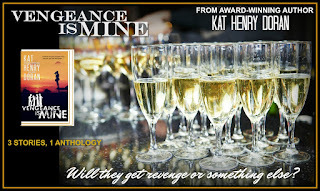 She's promoting VENGEANCE IS MINE, three stories about going back to their high school reunion to face the bullies and the people who didn't believe in them. 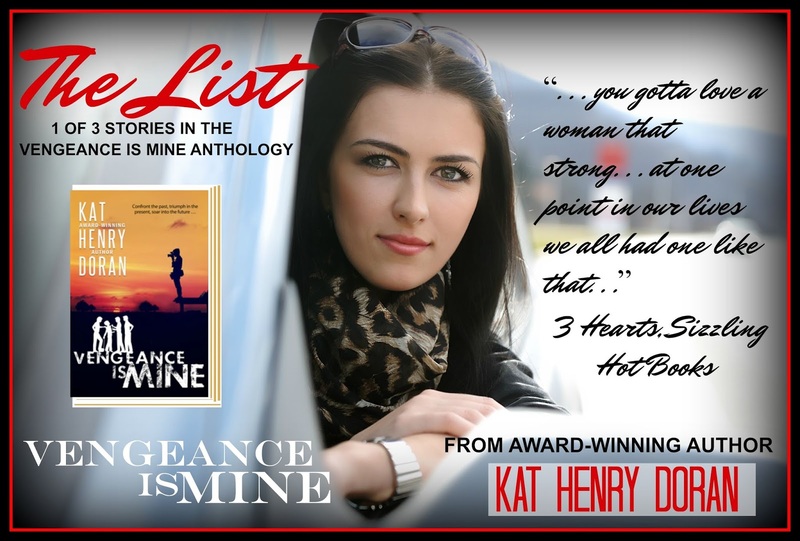 Kat also sits down for an interview and talks about these stories and other stuff. Don't forget to enter the Rafflecopter below! 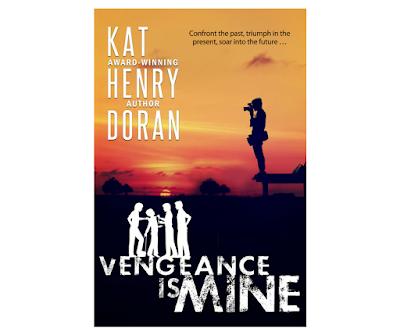 Please welcome Kat Henry Doran! It started out as a series featuring four guys in their late 30’s—early 40’s who return to the town where they were raised after their best friend from back in the day dies suddenly and leaves them each something in his will. When that idea failed to fly, it morphed into a high school reunion series. The “Dead Guy” remained an interesting, though unseen, secondary character in the book. 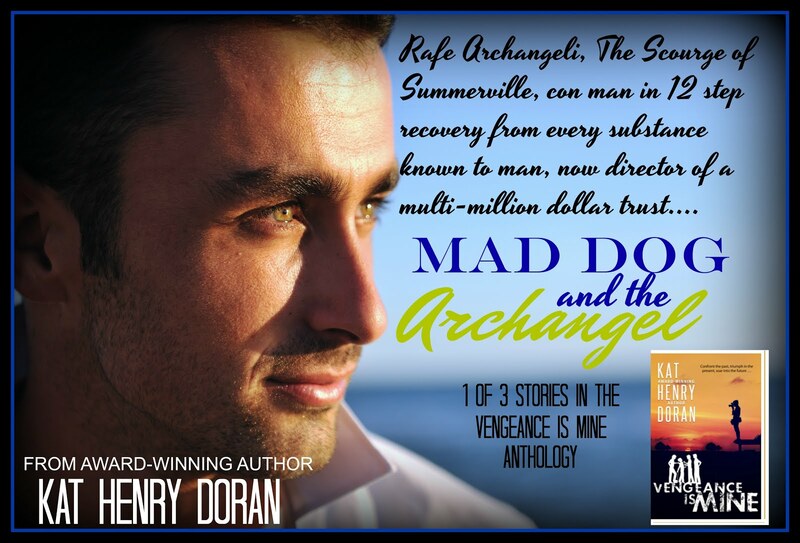 The inheritance became a source of external conflict in “Mad Dog and Archangel”, the first story in Vengeance Is Mine. That through hard work and tenacity it is possible to overcome a dismal past [e.g.--domestic violence, morbid obesity, drug and/or alcohol abuse, societal bias] and triumph over all. Plus, getting revenge on the school bully—someone we all knew—is great fun. I am right now an it’s killing me. Kill-Ing Me! What comes first for you – plot or character? And why? First, last and always, characters come first. I must know who I’m writing about, right down to their favorites in food, music, TV and movies or underwear, their family background and a detailed physical description. Once I’ve finished with a multi-page character outline, I go to work on the plot. If I don’t know my characters inside and out, I won’t know how they’ll react to conflicts and motivations will I? For the past 40 something years I’ve lived with my husband and 3 children in Western New York, near the shores of Lake Ontario. I’ve been writing, quite badly at the beginning, for more than 30 years. For many years I often had to work at more than one job at the same time to keep food on the table and my kids in parochial school uniforms. The hubs and I worked odd shifts so that one of us was always home for the kids. I’ve had a lot of different and interesting jobs; it’s taught me to manage my time well so being idle makes me nuts. I always have to have something to do—and writing fills up the time. Plus, those interesting jobs gave me a lot of fodder for plot lines and characters. Actually, I don’t read books any more but I do listen to audio books; in fact, I’m addicted to them. I really like John Sandford’s series featuring Virgil Flowers and Lucas Davenport. If a man can’t make me laugh out loud I don’t want to hear it. I also like Daniel Silva’s Gabriel Allon books. Wonderful alliterative names, fascinating locations, incredible tension and suspense. I'm something of an audiobook addict myself, Kat. What are two (or more) of your all-time favorite books in any genre? Carnal Innocence and Carolina Moon by Nora Roberts; Envy by Sandra Brown; Mila 18 and Trinity by Leon Uris. We have some of the same tastes in books. Those are two of my favorite Nora Roberts books. I read Trinity way back in university when I should have been reading my textbooks. What do you like best about your hero? 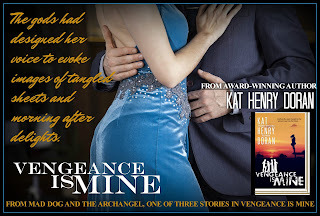 I have three heroes on Vengeance Is Mine. 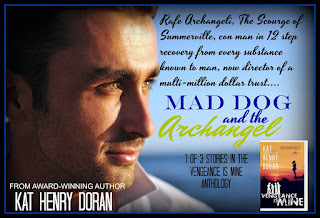 I like Rory McElroy for his dry humor; Mick Dineen because he works every day to make amends for past behaviors yet doesn’t advertise it; and Rafe Archangeli because he’s a redeemed man thanks to his [dead] best friend and works every day to help others. Vengeance features three heroines: Dru Horvath never gives up in her drive to help those who are victims of political and moral abuses; Fiona Thorpe changed herself inside and out then went on to make herself a star; and Grace Dunavan has a whippy sense of humor and doesn’t hesitate to laugh at herself. How do you choose the names and physical characteristics of your characters? The names I give characters come after I’ve chosen their occupations and heritage. For example, Grace Dunavan is of Irish heritage. I named her after Amazing Grace, a local nun who advocates for the homeless in our community. Druzilla Horvath is a Hungarian Gypsy by birth. I picked her first name because I wanted the nuns who raised her to mis-pronounce her name as Droo-zheela; Horvath is a common Hungarian name. Rory McElroy is named after my daughter and NOT the current golf phenomena. I hate golf but I like watching Rory on the links. He has a nice . . . swing and an interesting twinkle in his eyes. Blurb: Ever think about going back to study hall to face down the school bully? The mean girls? The brainless jocks who made your life a pure misery? 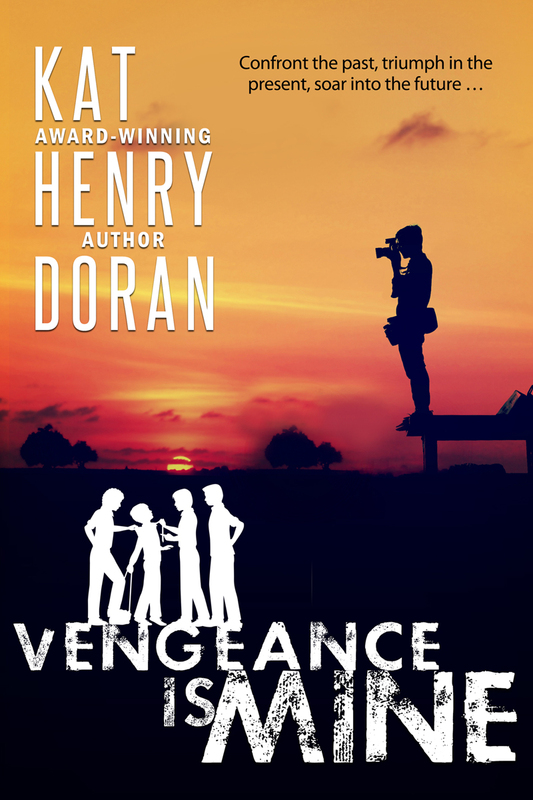 For Dru Horvath, gypsy orphan turned Pulitzer Prize winning photo-journalist; Rafe Archangeli, Scourge of Summerville who now heads a multi-million dollar trust; and Fiona “Fat Aggie” Thorpe who recreated herself into an A-list model with her own A-list agency, the opportunity to exact revenge is too good to pass up. Will they find the vengeance they crave? Or something more valuable? 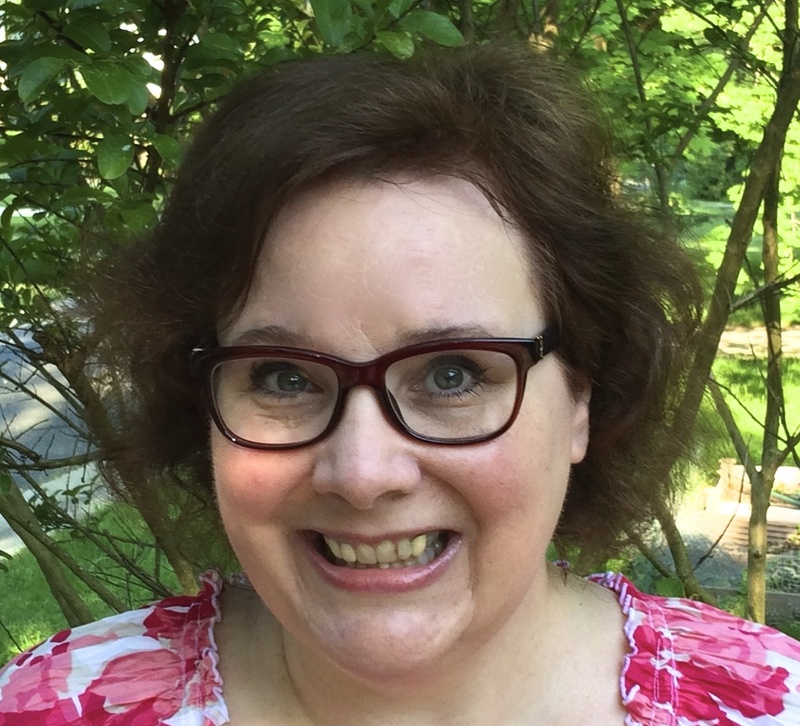 Author Bio: Legal nurse consultant, victim advocate, sexual assault nurse examiner Kat Henry Doran and her alter ego, Veronica Lynch, has been there and done that--many times over. She often travels to the wilds of Northern New York State, witnessing the wonders of mother nature at her best. 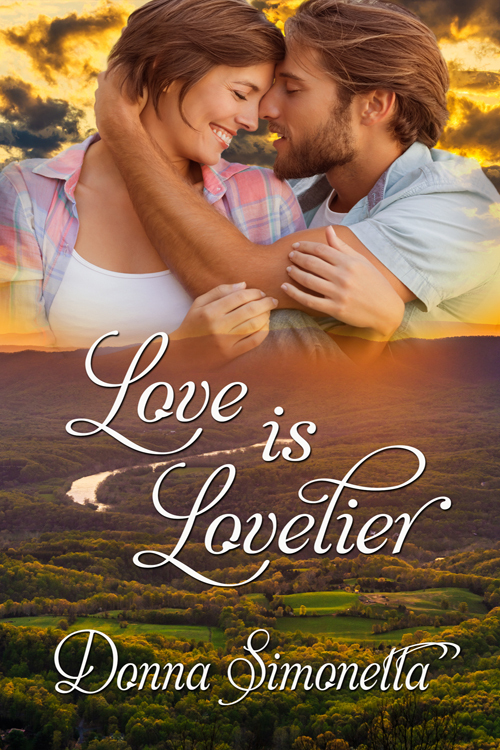 From the shores of Lake Ontario and the Saint Lawrence River to the historic Adirondack and Catskill Mountains, she creates stories featuring strong women and the men who love them. When not writing, she can be found lashed to one of her sewing machines--or chauffeuring the four brightest stars in her life: Meredith and Ashlin, Owen and Kieran.